Hospitals can efficiently protect public health by lessening the quantity and toxicity of the wastes they generate, and also by employing a variety of ecologically sound waste management and disposal alternatives. As part of a healthcare program, they must not only focus on treating the patients inside the hospital, but protecting citizens as well outside from harmful waste materials. All over the world, health care waste management is underfunded and inadequately executed. The merging of contagious and other dangerous properties of medical waste symbolize a significant environmental and public overall health threat. It is indeed frightening to think that chemicals and other toxic substances may reach our neighborhood. 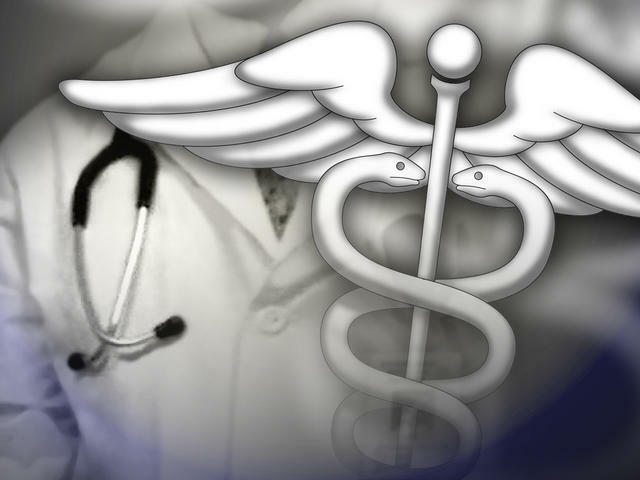 A current literature review came to the conclusion that over half the world’s population is in danger from illness caused by healthcare waste. It was also found that plenty of inadequate waste treatment methods cause violation of fundamental human rights. There is certainly no international convention that directly addresses medical waste management, so classification systems vary from country to country. Nevertheless, waste is frequently categorized based on the risk it carries. The vast majority of medical waste (around 75-85%) is comparable to normal municipal waste and also considered as low risk, unless burnt. The rest consists of more harmful forms of medical wastes, which include infectious and sharp waste, chemical and radioactive waste and hospital waste water. Burning medical waste products creates numerous hazardous fumes and compounds, such as hydrochloric acid, dioxins and furans, as well as the toxic metal lead, cadmium, and mercury. The disposal of biodegradable waste produces greenhouse gas pollutants, including methane, which can be twenty-one times stronger than carbon dioxide. 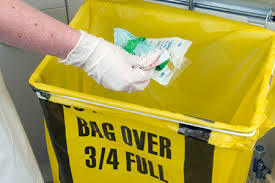 The government, as well as international organizations, must have a strong stand in managing hospital waste materials. This is to improve the quality of healthcare and avoiding possible spread of diseases in the community. You may have already read or heard about Steven Brill’s outstanding, long article in Time magazine, known as “Bitter Pill: Why Medical Bills Are Killing Us.” If you think it does not concern you, do not be so sure. Put simply, Brill says, these expenses tell us there is no free market in our healthcare system, that healthcare facilities set their rates knowing that someone in pain or in fear for his or her life is not going to ask to see the price list first before going to some test or treatment. It’s no wonder that 60 percent of Americans who declare personal bankruptcy each year do so because of healthcare expenses. Of course, if you have Insurance policy or costly health insurance coverage, your expenses are going to be reduced, since healthcare facilities are compelled to give you a lower cost and insurance protection providers themselves are able to settle much affordable expenses for services. In any case, drug companies, medical device makers, healthcare facilities, and laboratories are confident of profit; it just relies upon how big and that is really what all those who want to take the government out of healthcare are shouting about. They want no constraints placed on earnings of healthcare market, or for that matter, anywhere else. Today, when the gaining of wealth, quickly and in considerable volumes, is popular above any other individual effort, every medical emergency or disastrous sickness is seen as a chance of some to enrich themselves beyond their wildest goals. It’s no wonder that our healthcare system is so much more costly than that of every other designed nation in the world, where the expenses are not only much reduced, but people also live longer than we do. As opposed to us, other nations have the unusual idea that revenue has no place in any scenario in which the primary decencies that people owe to one another ought to be the first concern, and for that reason control the cost of life saving medication and functions. In short, they are less voracious than we are and far more humane.